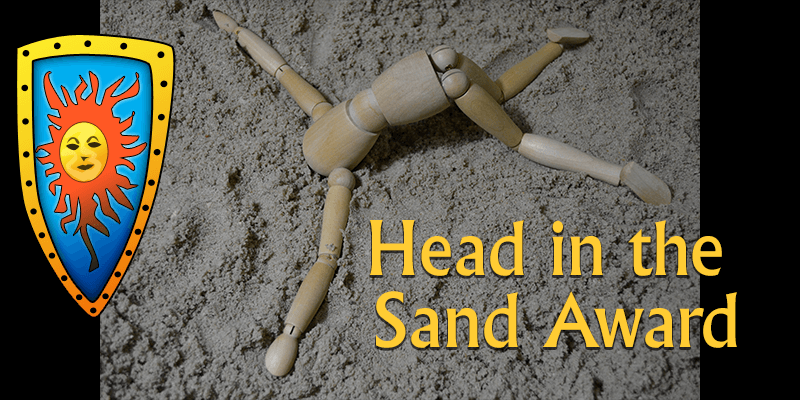 Head in the Sand award goes to any affiliate that doesn’t believe that being compliant to the new UKGC policies on affiliate marketing will affect him or her. This past September, the UKGC, ASA, and ISO read the Riot Act to anyone who was marketing online casinos to the UK. UK facing casinos immediately scrambled to make sure that the were not going to be the dreaded lower hanging fruit. The UKGC was looking for a license to pull, to set an example, and the people who were putting these licenses at risk were their affiliates. The first responders were in a form of mass emailings to UK facing affiliates speaking of affiliate account closures, fines, draw and quartering, and other unpleasant deeds. A lot of people got their feathers ruffled (including yours truly) and started public conversations that questioned the sanity of the affiliate program directors. Fortunately cooler heads prevail – as always – and after speaking with a few affiliate managers, it became clear. The only way to deal with the new clampdown is to yield. Some of the “yielding” is done in the form of redesigning one’s website, adding a load of extra T&C links, logos for Gambleware.co.uk, promises of no spam/no unauthorized promos, and a load of Nanny-State type policies. But the end result is a better playing field for all. Affiliates will not be rewarded by conducting “email marketing tactics” (spam), deceptive promos, and other forms of dodginess. The bottom line is good affiliates want their players to have the best treatment. What about non-UK facing affiliates? Well you have your head in the sand if you don’t think that other licensing jurisdictions are not watching this closely. The EU is chock full of customer protections, and it’s just a matter of time that there will be regulations that will affect affiliate advertising. So if you havn’t done it yet, start prepping your sites in order to comply. Follow the UK affiliates lead by listing promo terms and conditions, linking to gamble awareness and assistance, stop the email campaigns, ditch the dodgy sites, and get on board. It will only make the Internet a better place.